Bargaining Support Team Now In Action! We would first like to thank the Sessional Faculty who attended the Unit 2 Bargaining Support Luncheon yesterday – it was a chance to discuss the role of Bargaining Support as presented by the President, Graham Baker, and to meet the Bargaining Team, including the two Staff Reps, who graciously took time away from their busy bargaining schedule and joined us for lunch. We now have a Bargaining Support Team (and are still looking for others to join as things progress), and we would like to congratulate Frances Lasowski for being acclaimed the Bargaining Support Chair – Thank you Fran and congratulations! Once again, a big THANK YOU! 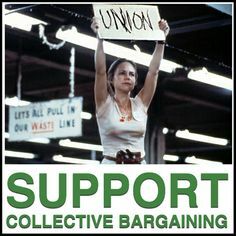 to the new members of the Bargaining Support Team for their commitment to this round of negotiations with the employer. If you’re interested in joining the bargaining support team (with a time commitment that is flexible to your schedule and responsibilities that you’re comfortable with), don’t hesitate to contact our Unit 2 Bargaining Mobilizer, Amarjeet.